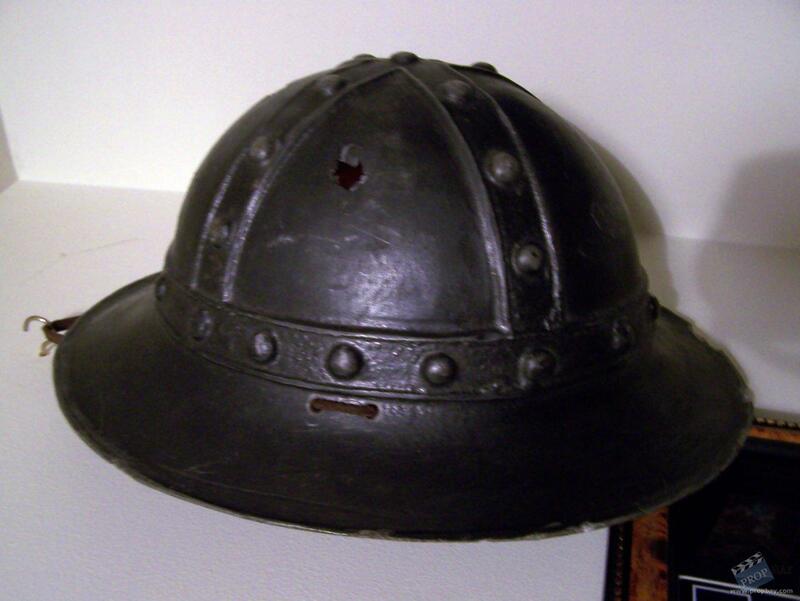 This is the helmet that was struck by Mel Gibson in the classic Braveheart. 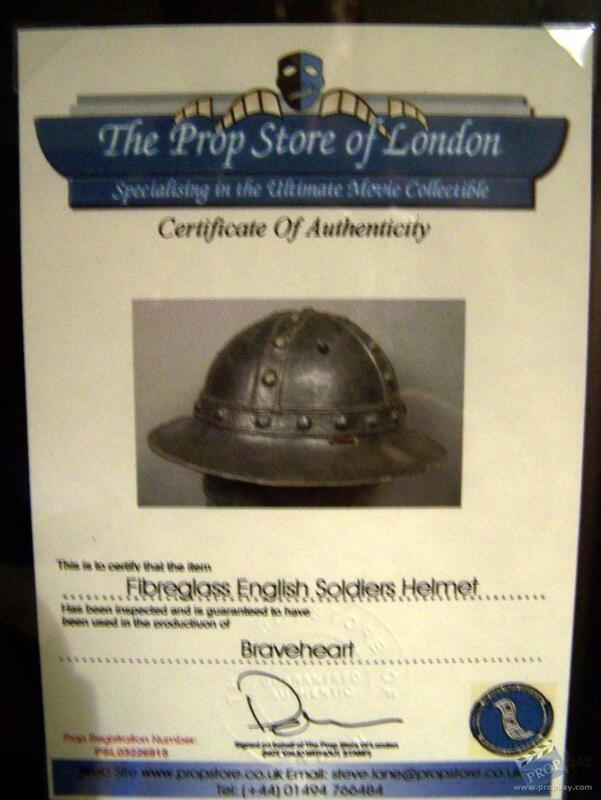 It comes with a letter from Clan Wallace explaining how it was used and sold. The actor who wore the helmet had a lot of padding under this prop, because when i put it on it falls down to my nose, and i have an average sized head..haha. Added: 02-06-2012 - Viewed: 2520 times.